Digbeth has always been slightly ahead of the curve. As Birmingham grew to be Britain’s heaving industrial might in the 18th century revolution, it was from an initial flush of endeavour pulsating down in Deritend. The shadows of Digbeth’s industrial heritage remain defined by the area’s architecture. Many buildings still blackened by soot, sweat and toil stand defiantly unmoved and serve as a reminder of their integral part in the country’s manufacturing past. But it is in these historic old buildings, long since departed by the hulking machinery that once powered Britain to its position as a world leader, that a fresh industrial revolution has sprung – and that industry is digital. Once more, Digbeth is the spark of creativity and innovation that has lit the furnace of Birmingham’s engine for enterprise and the city stands ready to become a true tech powerhouse to rival London and Berlin in sectors like 3D printing, Virtual Reality and mobile technology. Many of the key players in this burgeoning local community came together in June for Digital Digbeth Day , a day chocked-full with exciting innovation and cutting-edge tech. The event was part of a wider week-long expo across Birmingham – the latest graduate to the BBC’s Digital Cities alumni. Digital Digbeth Day brought together local creative companies such as 3D-printing pioneers Backface and Yamination Studios, one of the UK’s brightest talents in animation, alongside national and international brands like Google and the BBC. The assembled audience, drawn together from across the West Midlands were then treated to a programme of sessions and activities that incorporated some of the most pioneering technology available anywhere in the UK. 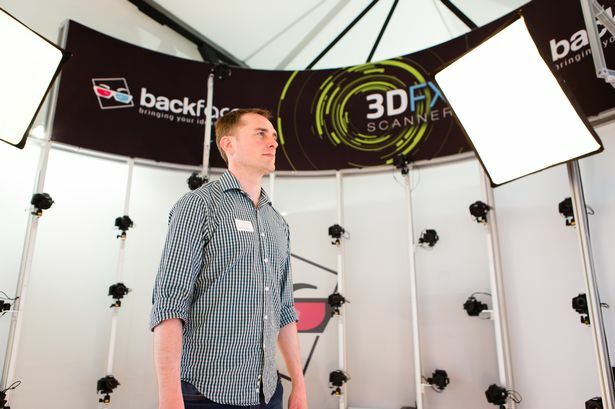 Tim Milward, founder of Backface, whose base of operations is housed within the stunning Fazeley Studios, incidentally the venue for Digital Digbeth Day itself, delighted in demonstrating the awesome potential of 3D technology for the event. He believes people are starting to recognise the incredible things going on in this historic corner of Birmingham. He said: “There&apos;s an incredible amount of innovation going on in Digbeth and it was great to meet so many fantastic people and businesses sharing all of the exciting things going on in Birmingham&apos;s creative quarter. “When we originally founded Backface, there was no question that we wanted to base ourselves here, being in the heart of this creative community gave our business a huge leg-up and it was great to share our experiences with the wider digital community on Digital Digbeth Day”. Just down the road from Tim in Digbeth’s Rea Studios is Drew Roper. Drew set up Yamination Studios in 2009, moving to Digbeth three years later and has navigated the innovative animation company to an incredibly strong position in the sector, recently working on projects with the likes of Disney and Sky. “These types of events pop up occasionally, so to be given a platform to showcase our work, on our doorstep and in front of a collective of seriously talented, inspirational and innovative businesses, was nothing short of being a huge privilege, I even think Bart (our puppet) lost his mouth a few times during our presentation! "Huge thanks to the BBC and Fazeley Studios for hosting such an incredibly insightful and engaging event, as always." Digital Digbeth Day was just one of various events across Birmingham for Digital Cities Week. The programme was organised by the BBC Academy, who are on a mission to showcase the incredibly diverse and creative tech scenes the UK’s cities have to offer. They’ve previously visited the likes of Glasgow, Cardiff and Manchester. What Digital Digbeth Day did better than anything, was to crystallise that appetite for innovation and progress that has always found a home in Digbeth, and present it to the wider community. Like those first factories almost 300 years ago whose firing furnaces ignited the Second City’s industrial legacy, Digbeth is once again leading the rest of Birmingham by the hand towards a position of global significance. As Birmingham prepares to welcome HS2, BBC Three and possibly Channel 4, the opportunities to look outward and take our ideas to the world are limitless. The City’s long and rich history is steeped in industry. That industry is now digital. The revolution has begun. Chris Pettitt is part of the team from the Custard Factory and Fazeley Studios that curated Digital Digbeth Day.